There is a fable which tells about the unprecedented victory of the tortoise over the hare. The lesson learned from the fable was, ‘Slow and steady wins the race’. The idea may not be popular among the young generations who want to get things done instantly but as the fable tells the steadiness lead to victory. Had one stop being persistent, he/she would not taste the wine of success. Such is the case of Brendan Fehr. Through persistence, Fehr craved his name among the list of Canada’s famous television and film actors. Brendan Fehr was born on October 29, 1977 in New Westminster, British Columbia. Good in studies and sports, Fehr was a complete package. When he was young, he was very good at numbers; he decided to turn into an accountant. However, as the age kicked in, his features turned out to be more attractive than before. By the time he was 20, Fehr has turned into a major stud. So, Fehr started looking out for jobs as a well but truth be told whoever saw him, recommended him to try television instead. However, Fehr was indeed successful in landing on the modeling job. Fehr has modeled for Levi’s, Calvin Klein, Emporio Armani, and DKNY Jeans. He has also appeared on the magazines. Later in the 1990s, he appeared on the Internet soap opera, CR6. The first time this stud graced the television screens of the household was in the show Breaker High. Fehr work was appreciated in the show. 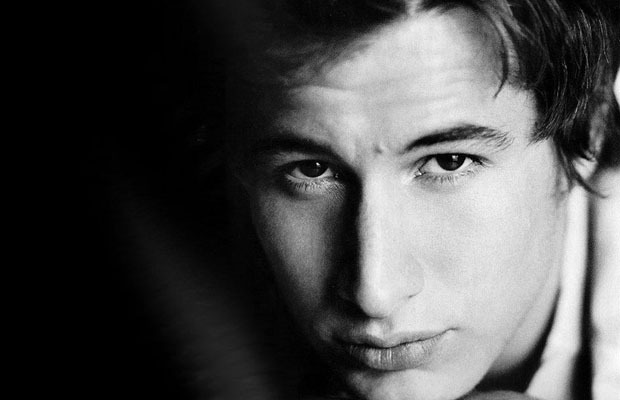 In 1999, Fehr succeeded in grabbing the role of Michael Guerin in the WB television Sci-Fi show Roswell. In no time, Fehr became a household name. Although the series struggled to remain running however it did manage to have dedicated fans who liked the work of the artists. The role in the Roswell opened the gate of opportunities for Fehr. In 2001, Fehr appeared in U2 video, Stuck in a Moment You Can’t Get Out of, in the video he played the role of a football player who blows the chance of having a game winning kick in an American football game. Later, Fehr also appeared in Vanessa Carlton’s video Pretty Baby. Fehr has also beautifully portrayed the character of Jack Stanton in the ABC mini-series Samurai Girl. He is also famous and liked for portraying the role of Laboratory Tech Den Cooper in CSI: Miami. Fehr has also been involved in the ongoing TV show Bones where he plays the character of Jared Booth. Currently, Fehr is starring in the NBC’s The Night Shift where he plays the character of Dr. Drew Alister. Apart from television, Fehr has also managed to grab roles in the films. Some of his films include, Guardians of the Galaxy, Comeback Season, The Long Weekend, The Other Side of the Tracks, A Christmas Kiss, X-Men First Class, Silent Night, Edge of Madness, Kill Me Later, Forsaken, Nemesis Game, Disturbing Behavior, Childstar, Sugar, The Fifth Planet, 13 Eerie, Final Destination among the few. Fehr is also a diehard hockey fan. He sums up his passion for game in the following words, ‘It’s terrible for a person’s psyche to love something so much and not be great at it.’ Fehr has also won the Gemini Award for Hottest Canadian Male Star. Filming for the second season of Night Shift, Brendan Fehr is living happily with his wife, Jennifer Rowley, and three children in California.